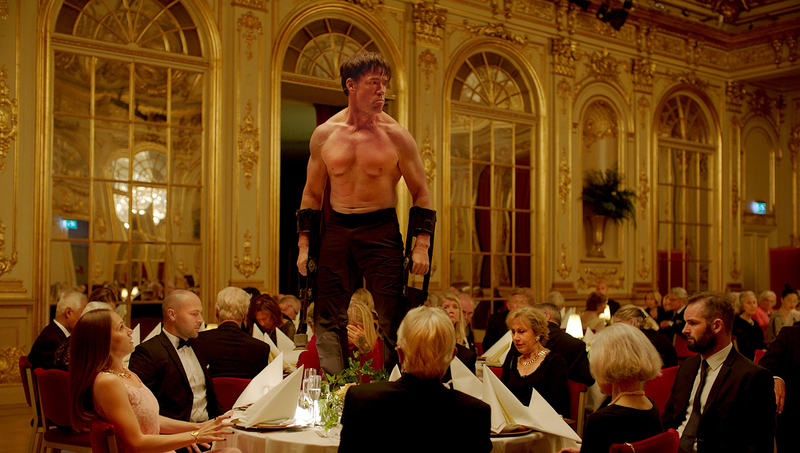 Swedish writer and director Ruben Östlund offers up another skin-crawling, hilarious study of the male ego battling against its own lack of self-awareness with The Square, winner of last year’s Palme d’Or at the Cannes Film Festival. Ruben Östlund’s Force Majeure won great acclaim for its deliciously awkward portrayal of a young father who ‘accidentally’ abandons his family in the midst of a possible avalanche. Self-important men, it seems, are just too rich a subject for cringe inducing, dark satire, and so his latest film The Square takes up a similar thread, this time within the easily parodied world of modern art – producing a film as funny as it is stingingly accurate about the way in which the digital era encourages us to perform altruism whilst sheltering our private vanities and resentments. Daniel (played magnificently by Claes Bang) is curator of one of Stockholm’s most daring contemporary art museums. Smooth talking and dapper, Daniel is getting ready to promote his latest passion project – an immersive exhibit called ‘The Square’ which begs its audience to reconsider the limits of social openness and charity – when his wallet and phone are stolen. A colleague at the gallery is able to track Daniel’s phone to an apartment block in a rough part of town and the two men set off in his luxury car on a small-scale revenge mission. (‘Justice in a Tesla!’ as his colleague puts it). As the film unfolds from this early premise, it takes its time to tease out some of the ironies in its narrative. Östlund has an artful way of using the camera to pin his actors against their backdrop – be it the inside of a car or a shopping centre – and you feel that the huge white space of an art gallery is as natural an environment for his film-making as the ski slopes on which he started his career. Daniel squirms as he chases one mistake to another, the artists and benefactors of his gallery appear disinterested, and The Square itself remains neglected. This razor-sharp, hilarious and surreal film is a masterpiece of modern satire.